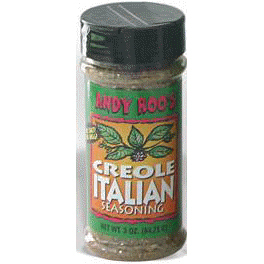 ANDY ROO’S CAJUN GARLIC SEASONING is a zesty recipe carefully blended to offer a better flavor than any other Cajun spice. 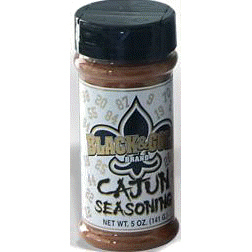 We choose the best garlic, caynee pepper and other quality spices to make our product taste great. 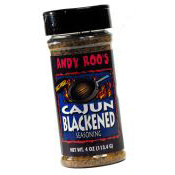 You can use ANDY ROO’S CAJUN GARLIC SEASONING on broiled fish, steaks, pork, baked chicken or tuna salad. 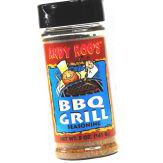 Use it as a marinade for your favorite meats. 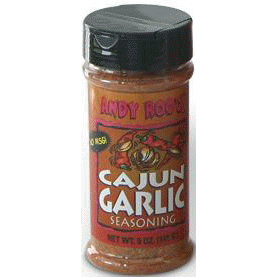 And let’s not forget … ANDY ROO’S CAJUN GARLIC SEASONING makes the best garlic bread ever! Ingredients: salt, dehydrated garlic, paprika, black pepper, dehydrated bell pepper, onion, sugar, cayenne pepper, and other herbs and spices. No MSG.